Add the flour, baking powder, salt and sugar to a large bowl and mix together. To this dry mix add the milk, beaten egg and melted butter and mix through until well combined. Add the punnet of blueberries and mix together. Place a large frying pan over a low heat and grease lightly with butter. 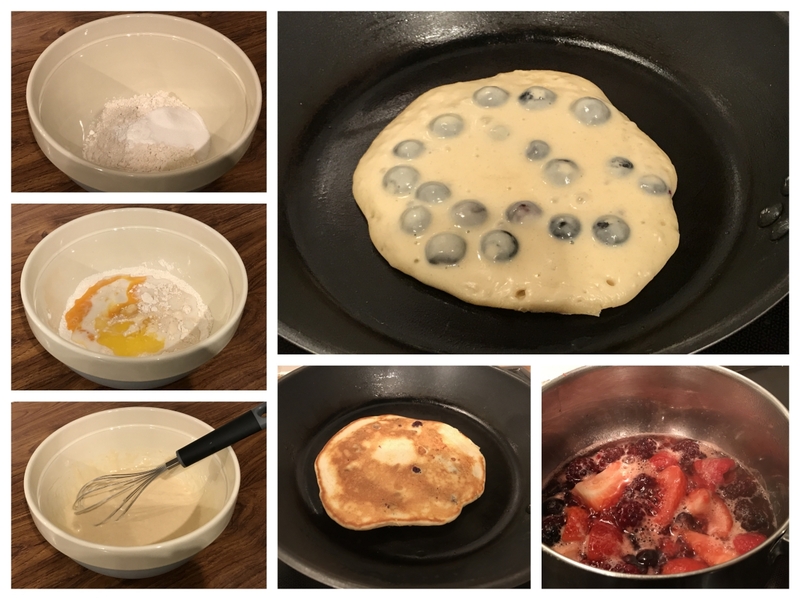 Using a ladle, pour a spoonful of the blueberry pancake mix into the pan and cook for 1-2 minutes until bubbles appear on the surface. Flip the pancake over and continue to cook for a further minute until golden. Repeat this process with the rest of the batter. 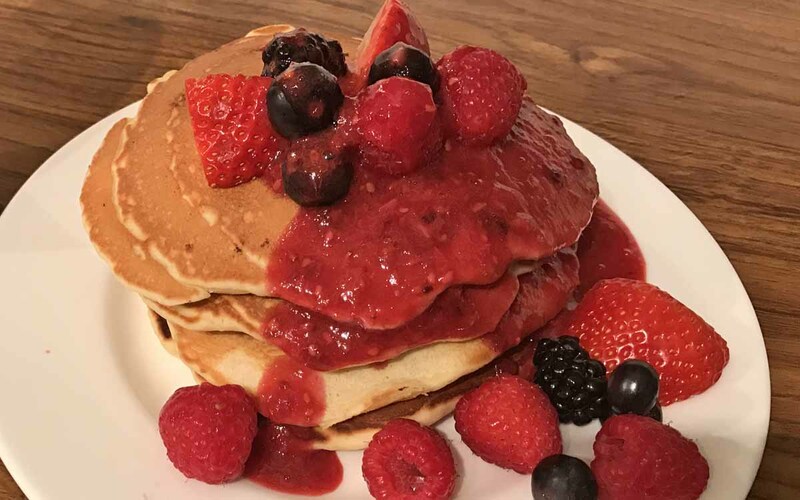 While your pancakes are cooking, move on to making the mixed berry compote. Place some fresh mixed berries into a saucepan on a low-medium heat and add a splash of water and a squeeze of honey. Simmer for a couple of minutes until the berry juices are released. If you don’t have fresh berries at hand, you could use frozen, mixed berries. 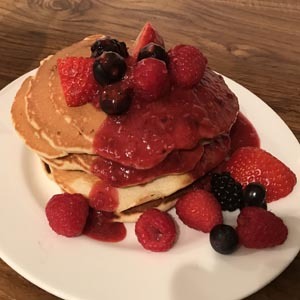 Stack the pancakes and serve with fresh berries and the mixed berry compote. Serve with a dollop of fresh cream or natural yoghurt. Check out the steps in the video below.